To view the Top 20 BBMB LIST available JULY 2014 <—– Click on the link!!! Here are your top 30 Bring Back My Bar scents! 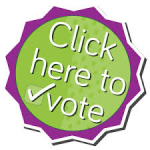 You’ve got until the end of April to vote and narrow down the list to the top 20. Almond Cookie: Sweet and nutty almond extract. Amaretto: An almond scented fragrance sweetened with honey and spice. Apples & Pears: Pears come first, then crisp fall apples. Bananarama: Sweet, golden, ripe bananas. Be Still: Unwind as list mandarin, soft violet petals, and creamy sandal tree envelop your senses and quiet your mind. Cherry Almond Pie: Orville’s favorite dessert. Graham crackers, sweet almond, cream, and cherries. Citrus Sun Tea: Southern-style sweet tea with zesty citrus and lemongrass. Coconut Palm: A blend of tropical coconut and musky patchouli with subtle green notes. Coffee Tree: Bold and sophisticated. Wake up to the rich aroma of freshly roasted coffee beans. Cookie Dough: The scent of warm, gooey chocolate chip cookies. Got Milk? Cranberry Muffin: Bursting with bright cranberries enveloped in a buttery brown sugar batter, with nuances of walnuts and toffee. Echo: Sophisticated, metropolitan fragrance of manly spice notes, Mediterranean citrus and herbs, and bitter orange. Flirtatious: Fruity and vibrant, a combination of green apple, grapefruit, and white amber. French Kiss: Sweet fig tenderly caressed by coconut pulp, exotic cedar and caramel. Fresh Cut Grass: Smells just like freshly cut fairway on a cool summer morning. German Chocolate: Decadent, moist, chocolate cake, icing, and coconut. Go-Go Goji: An exotic blend of tart Chinese goji berry, sweet lotus flowers, and ripe, warm dewberries. Key Lime Tortilla: Lime and Kiwi combine for a south of the border sweet treat. Lemon Coconut Chiffon: Lemon custard layered with butter cake and sprinkled with toasted coconut. Lily of the Valley: Very fresh and green, true to the scent of this white flower. Lots of Lavender: Calming blend of chamomile and lavender. Mediterranean Spa: Relax with this smooth, fresh, and breezy scent. Midnight Fig: Earthy, ripened figs and golden berries tempered by musky woods. Mums & Marigolds: The sunny scent of summer marigolds, rosy rhubarb, earthy cedar and musk. Oatmeal Cookie: Savory cinnamon, oatmeal, and warm sugar. Oats & Honey: A buttery mix of toasted oats and tupelo honey, oven-crisped with vanilla and maple. Pima Cotton: A light, clean blend of lilies, freesia, and jasmine. Rev’d Up Raspberry: Raspberries covered in sweet cream and sprinkled with French vanilla. 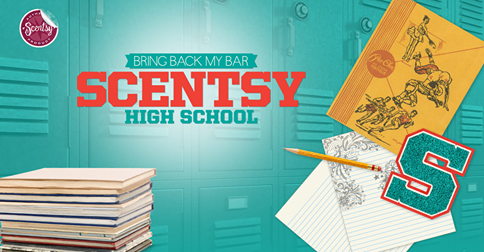 This entry was posted in 2014, Bring Back My Bars, Buy Scentsy and tagged 2014, Bring Back My Bars., Buy Scentsy® Online, Scentsy. Bookmark the permalink.